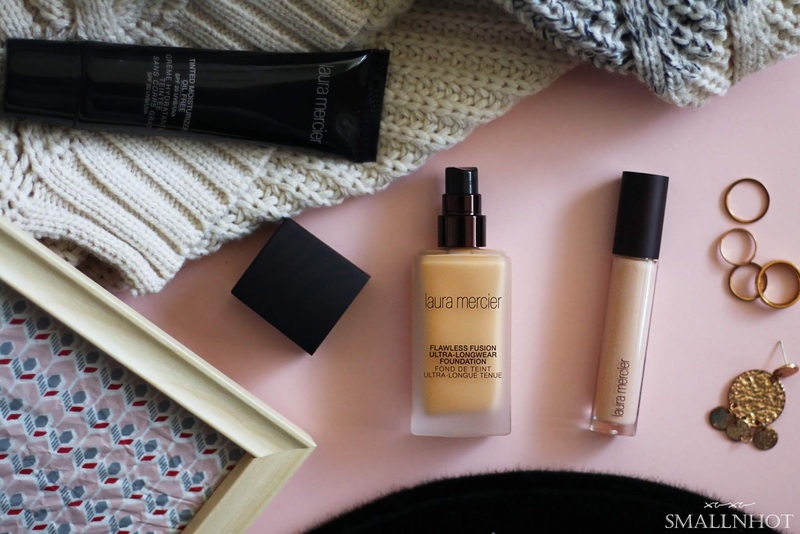 Laura Mercier Flawless Fusion Ultra-Longwear Foundation & Concealer - Flawless Fit Duo ? 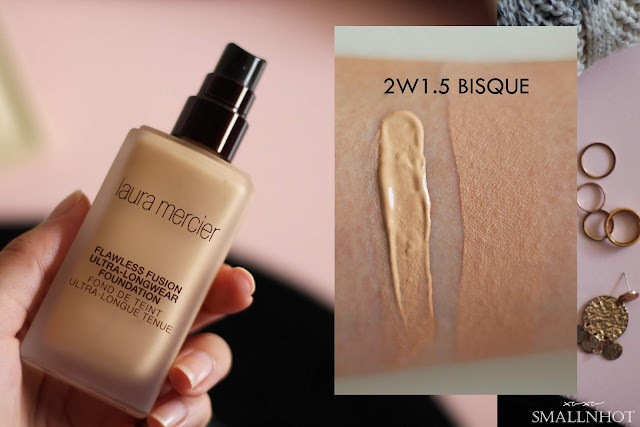 Laura Mercier Flawless Fusion Ultra-Longwear Foundation, a 15-hour long wearing, oil-free liquid foundation with a matte finish and weightless medium to full coverage. You'll LIKE it because it has a buildable medium coverage that doesn't feel heavy on the skin. You'll HATE it as it's not the greatest coverage for HD makeup. Of the many foundations out there, I'd say that this one is one of my favorite by far. First of all, don't be put off by the thickness of the formula because when you blend it out, it doesn't feel heavy on the skin at all. This might not be the best for the heavy lighting HD makeup but it makes a great dinner function kind of foundation. You can always sheered it out with a damp sponge for everyday use. The finish wise, it's not as matte as you think it is. It still carries a hint of glowy and extremely natural skin-like finish just the way I love it . As for the longetivity, I did not have it on for 15 hours and believe no one should should be having makeup on for that long but it did last for 8 hours without looking patchy, except for my oily T-zone, which looks rather greasy within 5 hours. Anyways, I do hope they will be come out with a cushion format for this foundation so a touch up on the go would be easy. Also if you are new to Laura Mercier range it's best for you to color match in their store so you don't go home with a bottle of foundation that's going to transform you into one or two shades lighter/darker than your normal skin tone. Laura Mercier Flawless Fusion Ultra-Longwear Concealer, a medium to full coverage, weightless concealer that perfects, hydrates and blurs with 12 hours of crease-resistant wear. You'll LIKE it for the creamy and lightweight formula. You'll HATE as it's not the kind of concealer to cover-up blemishes or acne. Ah, the formula reminds me very much of the NARS Creamy Concealer but much more creamier. 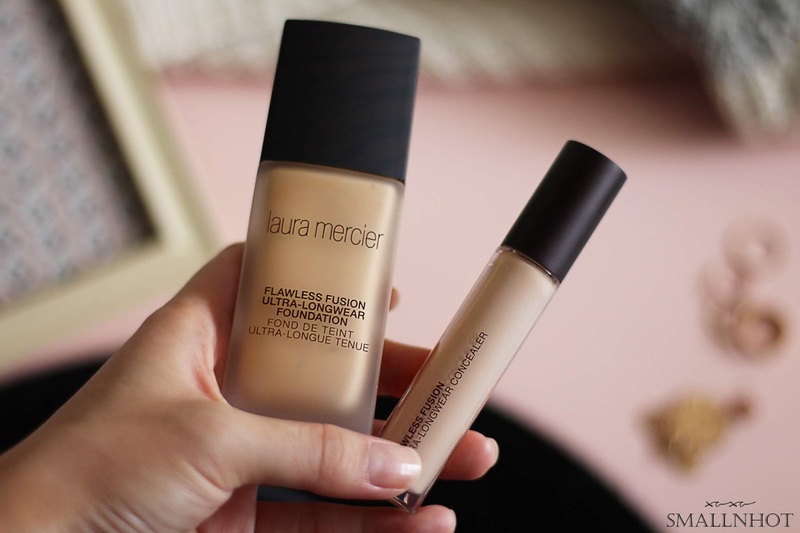 So if you find the NARS Creamy Concealer too heavy or thick for your liking, then this Laura Mercier Flawless Fusion Concealer is definitely your cup of tea. I personally prefer this for everyday makeup but for a heavy makeup event, go with something else. The coverage is medium-ish which is great for good skin days as it doesn't leave the skin looking glossy, just a soft matte finish. 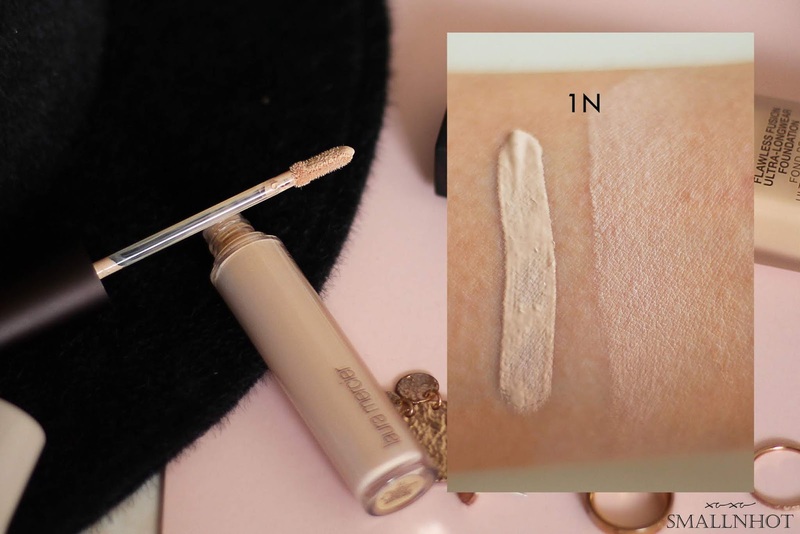 Considering it's so creamy, the longevity is pretty good and I have been using it for my, Just a note that it gets slightly drying on the undereyes towards the end of the day. For more information on products, visit their site here.